We get to partner with some awesome brands at the Labs, and one of our most rewarding activities is when we get to help other organizations build their own design and UX capabilities. Aside from training and other support, many organizations also ask for our help in building their very own version of Sutherland Labs. We have helped with the physical and logistical designs of many user research labs, and influenced clients such as GDS, and we have learned some important lessons. The most important thing, before a company even starts to think about locations, fixtures or layouts for an user research lab is to do thorough research and consult with all of the stakeholders in the business to make sure that you are all on the same page. A brand new lab is designed from the top down, which means that if it lacks a clear purpose and direction it is doomed to failure right from the start. When we build labs for our clients we pull together people from every part of their business, not just the UX and Design team – the Executives, HR representatives, the Sales team, absolutely everyone. Every company will have multiple stakeholders with their own goals, and it’s important to sit down with them and hash out details so that you can create an environment that meets everyone’s needs. It is important to realize that when an organization is making such a massive investment, the space will be used for as much as possible. 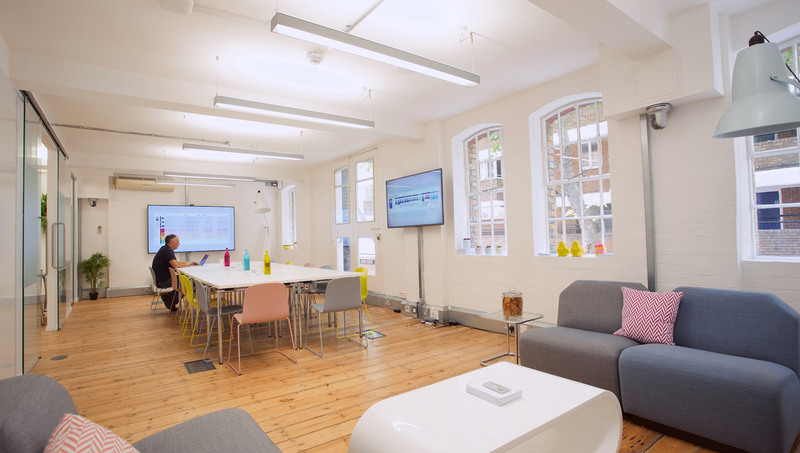 Our San Francisco Labs are a centre of excellence and an executive briefing centre as much as they are a research lab, and the large research spaces in the London Labs are hired as meeting rooms and event spaces when they are not in use. It’s good business sense to design your space in such a way that it can accommodate different uses. The spaces that are needed for research and design activities differ from a usual office. Aside from task based activities such as one-to-one sessions, think about the work done around and about a user research lab. This will almost inevitably be collaborative and freeform, so the usual goal of segmenting workers into their own isolated areas where they can focus on their specific tasks isn’t helpful. If you catch someone in a normal office writing on the walls or sticking post-it notes everywhere they are probably going to be sent to HR for a stern talking to, but in creative spaces, these are all part of the job. Providing vertical work surfaces, and making the walls into whiteboards is the equivalent of providing desks in a standard office. 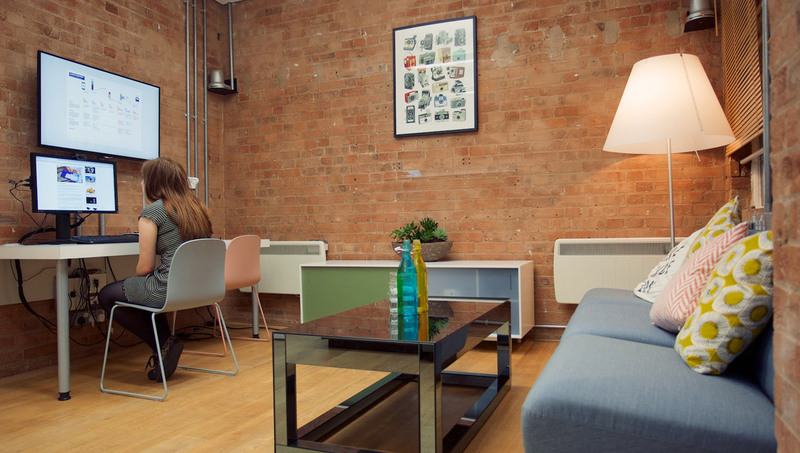 As designers, we know that the environment that people work in alters the work that they do, a user’s experience is at the heart of every project, so when building our own labs we made sure to remember that they are an immersive experience as well as a space to work. The locations chosen weren’t just about convenience of access, but also about inspiration. Everything within the space serves a purpose, even if that purpose is just immersing visitors in the experience. 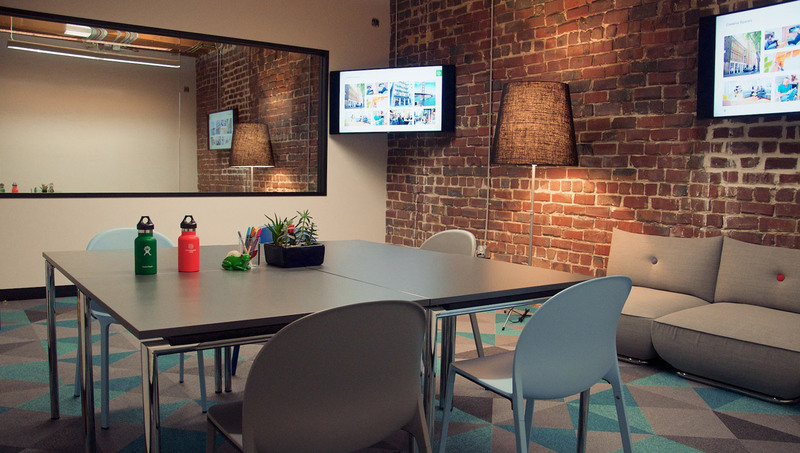 There is a constant evolution in creative spaces towards engagement. Flipboards and presentations are falling to the wayside in favour of involvement in the experimental process. This means that movement is becoming more and more important, so spaces need to be adjusted to suit the needs of the moment. The ability to reshape the physical space, using easily movable furniture, whiteboards that can act as temporary walls and research tools that can track everything regardless of the configuration is vital. In our user research spaces unobtrusive cameras are deployed in such a way that we can observe our test subjects wherever they are, and rather than a fixed system, we use small movable wireless microphones to record our sessions. Design is still design, even when it comes to creating physical spaces, and the core of design is iteration. Even though we perfectly designed our labs to suit our needs at the time, those needs change constantly and we have already started knocking down walls and shuffling things around. Planning ahead has been the key to making the process of reshaping our spaces painless. In an attempt at future proofing we have designed our infrastructure to support technology that doesn’t even exist yet. User research labs are all about investing in the future, so why wouldn’t that apply to the technology being deployed inside? If you would like to learn more about how we designed our own labs in Sutherland you can find more information here, or if you are interested in the possibilities of a user research lab of your very own, just get in touch. When it comes to the daily management of our innovation and research studios, Kelly holds it all together. She’s spent over seven years working in research studios, across sectors spanning government to gaming, making her ideally placed to oversee the recruitment of new research participants. And she knows how to create the kind of comfortable, efficient working environment in which creativity thrives.